If you’re trying to work out what to buy this as gifts this Christmas, here are a few ideas. All of them are things I love eating and using in my kitchen, and none of these mentions have been sponsored, they are all things I use, eat and love. WECK JARS – these are classics of German design, sturdy and useful. I always have a few in my kitchen. They come in various sizes from 290ml to 1590ml. SPEED PEELER – one of my most-used pieces of equipment – these are the best out there. Cheap and good for the obvious but also for making ribbons of veg, their juilenne one comes in handy too for making courgette noodles if that your thing, no need for a cupboard space hogging an expensive spiraliser. 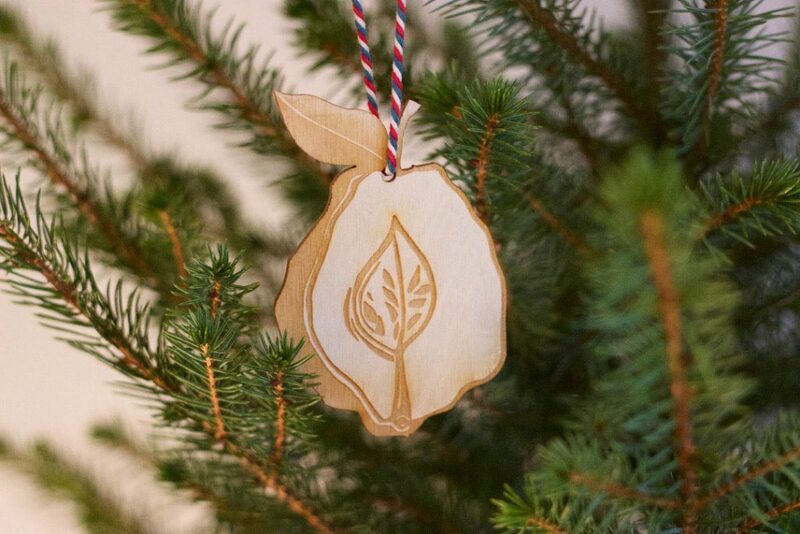 WOODEN FRUITS CHRISTMAS DECORATIONS – these beautiful wooden decorations, designed by my friend Anja and laser etched by Cut By Beam, make beautiful stocking presents for the fruit lovers among us. SMALL KNIFE – Opinel makes beautiful knives and my favourite is this serrated one (in natural wood) It’s one of my most-used knives in the kitchen along with a simple cook’s knife. Great for small jobs, tomatoes and citrus. Doubles up as good knife for cheese too. TWO MICROPLANES – a fine and a medium one. I’ve had mine for 10 years and they still work fine, for zest, cheese, grating garlic, chilli, ginger and aromatics when time is short. 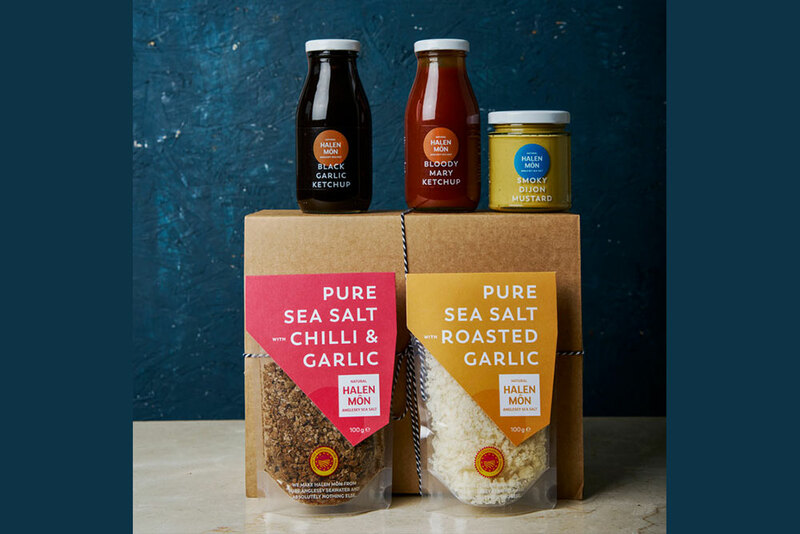 HALEN MON HAMPERS – my favourite sea salt company has some beautiful hampers this year, including a wonderful smokey dijon mustard and some seriously good seasonings. POTTERY BOWLS – I ask for one every Christmas so am slowly building a collection. They are so satisfying to eat from or put in the middle of the table for chutney, sauce or yoghurt. Turning Earth on Argall Ave, E10 has a wonderful Winter Market 2/3 December where you can find beautiful hand made pieces or I love the dusty blue of this one by David Mellor Design. STRUDELS, NOODLES + DUMPLINGS COOKBOOK – my friend Anja is a brilliant cook and kind soul. This book has hit the sweet spot of beautiful and useful. 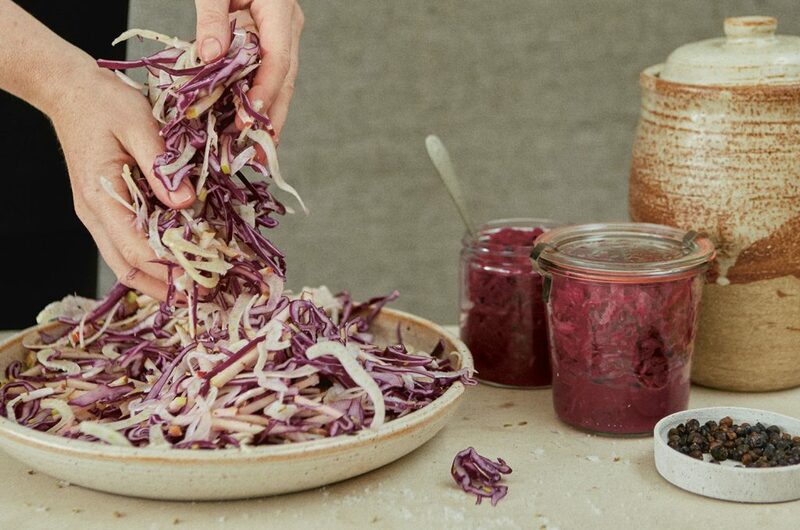 FERMENTING CROCK – this year I’d love to receive a fermenting crock to use to make small batch kombucha and sauerkraut. E5 Bakehouse and Little Duck the Picklery have some beautiful ones in their shop at the moment. JUST GOOD WINE – a natural wine subscription form General Store in Peckham. £130 per quarter for 6 knockout bottles. Includes one off illustrated recipes to go with each wine. And the wine is wildly delicious. CHOCOLATE BY POST – insanely good chocolate by Cocoa Runners. A bar a month for a year. Arrives with tasting notes and beautifully but sustainably packaged. Supporting single estate and small cocoa farmers. Can personally vouch for the chocolate. There is a specially selected one form me too (which I don’t make money on – just did because I love the company).